It is only mid-June but I’ve talked a lot about how I like to cook on the grill already. So, it is probably no surprise that today’s recipe is for grilled fruit kabobs. 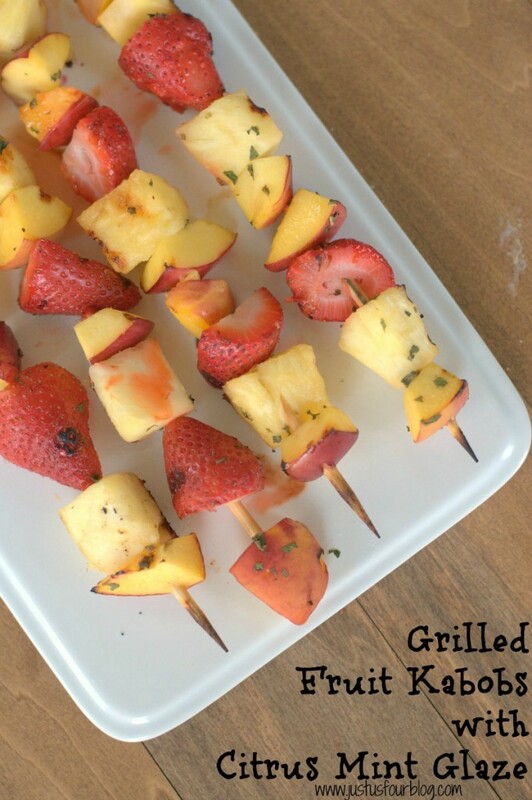 These grilled fruit kabobs are special though because they are basted with a citrus mint glaze while they are grilled which gives them an extra punch of flavor.